Bees are amazing insects that play an important role in our Earth's ecosystem. They are responsible for a large amount of wild and commercial plant pollination. Most people associate bees with honey. That is understandable since honey is delicious and bees are the only source of the nutrient-rich sweet treat. Knowing what bees make honey is a little tricky since there are about 20 thousand species of bees. What Are the Different Species Of Bees? Bees who are kept by humans for honey harvesting are social animals. However, there are a variety of bee species that do not live in large communities. Some bees live in relatively small communities, loose net communities, or have completely solitary lives. Others do not produce honey at all, or only produce enough to feed their young. In the latter case, the bees may collect pollen and nectar, stock a small amount, and place it in an egg chamber for the larva that will hatch. This article will look into the kinds of bees that exist. We will talk about which of the species of bees make honey. We will also discuss information about honeybees you may or may not already know. In this family, the bees are mainly mining bees. Andrenidae is a rather large family of bees, consisting of many species. Among others within Andrenidae is the Genera 'Andrena', who alone represents 1300 species of bees. The Megachilidae Family is mostly representative of various species of solitary bees. Some examples of species within the Megachilidae Family are leafcutter and mason bees. The Colletidae Family is believed to have approximately 2,000 species of bees. Types of species within the Colletidae Family include the plasterer bee and yellow-faced bees. The Halictidae Family of bees is also referred to as 'sweat bees.' The bee species in this family tend to be on the smaller side. They typically have mostly dark-colored bodies, but some species have green, yellow or red markings. The Melittidae Family is a rather small Family of bees with only about 60 species in four Genera. They are typically found in Africa. The Meganomiidae Family is another smaller Family of bees consisting of only four Genera and ten species. They are also found in Africa. The Dasypodaidae Family was originally called 'Dasypodidae.' This Family is another group of African bees that consists of eight Genera and more than 100 unique species. The Stenotritidae Family of bees is a smaller Family with about 21 species of bees in 2 Genera. They are found in Australia and were originally classified as part of the Colletidae Family. Perhaps the best-known bees in Western countries are those of the Apidae Family. This Family includes bee types such as the honeybees, bumblebees, and stingless bees. When addressing the question of what bees make honey, we have to take a look at a specific genus of bees called the Apis. The primary trait of members of the Apis Genus is that they produce and store honey. They also are identified by their of perennial, colonial nests made with wax. 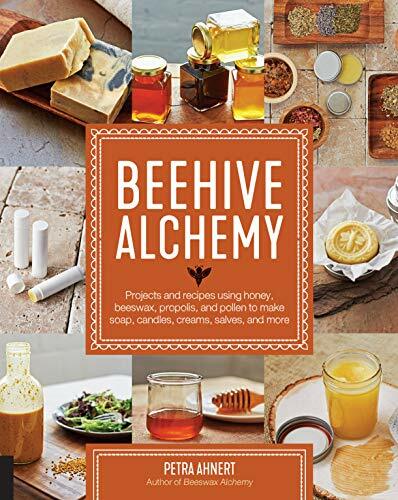 We have greatly expanded our categorization of honeybees in recent history. In the early 21st century, there were seven species and 44 subspecies of bees considered honeybees. In contrast, historically between six and eleven species have been recognized. The honeybees most people are familiar with are the Western honeybee variety. Western honeybees have been widely domesticated for use in crop pollinating and honey production. Honeybees are rare amongst bee species. They represent only a minute portion of the roughly 20 thousand known bee species. While other bee varieties are kept for honey harvesting, only species that are part of the Apis Genus are considered true honeybees. The Apis florea and Apis andreniformis are a smaller species of honeybee found in southern and southeastern Asia. Their nests are designed in an open style and are commonly located in trees and shrubs. An interesting trait of these bees is that their stingers cannot penetrate human skin. That means hives and swarms can be managed without the need for excessive protection. That said, Apis andreniformis bees are more aggressive than their counterparts, so honey is typically only harvested from the Apis florea variety. In the Megapis subgenus, only one species is recognized. These bees nests are generally composed of a single, or a limited amount of exposed combs. They like to build their nests in higher trees, on cliffs, or sometimes buildings. They are very aggressive bees and have been known to sting people to death if their hives are robbed, or they are aggravated. Apis Dorsata, a native to South and Southeast Asia, is also called the giant honeybee. It includes species such as the Apis Dorsata binghami, or Indonesian giant honeybee and the Apis Dorsata laboriosa, or Himalayan giant honeybee. While the latter was once considered an independent species, it's now considered a subspecies. Nevertheless, the debate continues on whether the Apis Dorsata laboriosa should be reclassified as a unique species because it is slightly different in appearance and is capable of nesting openly at high altitudes despite severely low temperatures. The Apis Dorsata laboriosa is the largest known living honeybee species. ​They repair damaged areas in the hive. As mentioned before, the Western honeybee is the variety of bee most widely domesticated. It may have origins originating in Eastern Africa, but that has not been clearly established. The species was the third insect to have its genome mapped. Subspecies of this variety have experienced micro-evolutionary adaptions to their local geographic and climatic environments. There are also hybrid strains which have been intentionally bred for certain traits, like the Buckfast bee. Now that we know what bees make honey, the next question is often "why do bees make honey?" Honey is an ideal food source for bees because it can be effectively stored to help sustain a large hive population with regularity. Many bees that live in swarms develop structures made from beeswax to store the hive's honey. Bees spend the entirety of the spring and summer months harvesting nectar and pollen. Through their collection methods, they inadvertently pollinate the plants they forage from. Honey is created by bees during the time the nectar is in the bee's body. When nectar previously ingested is regurgitated at the hive, the substance is newly formed honey. The pollen collected is stored for future use by the bees in the making of bee bread. It is mixed with honey and used as a protein dense nutrient-rich food for the bees. All bees except the queen survive off of bee bread. The queen bee eats a nutrient dense food called royal jelly. The purpose of storing honey is to maintain the hive throughout long winters where sufficient forage is scarce. As winter nears, the female workers of a hive prepare by throwing out the male drones. The drones are not allowed to overwinter in the hiver because they do not work. Their ultimate fate is death from starvation. As the winter progresses, bees eat the honey they stored during the summer months. For that reason, beekeepers have to ensure they monitor their harvest from the hive carefully, leaving plenty of honey for the colony. It would not be a stretch to say honey producing bees are extremely rare in the overall community of known bee species. The combination of pollination and honey production makes bees a valuable natural resource to humans. That is probably why beekeeping is both a popular hobby and beneficial occupation. 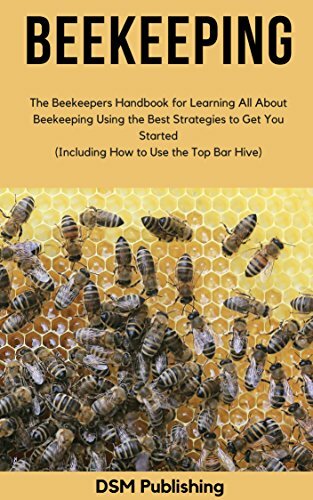 Beekeepers brave colonies of between 20,000 to 60,000 worker bees every spring or fall to harvest the delicious golden food only honeybees can provide. We hope this article helped you better understand what bees make honey and how unique honeybees are. The protection and conservation of wild and domesticated species is something that not only benefits our palettes but also benefits the health of our ecosystem. 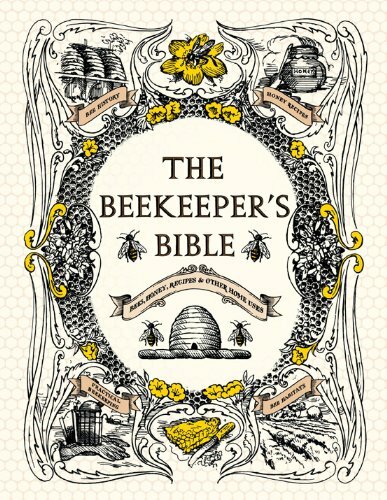 For more information on bees and beekeeping, please read some of our other articles. Beeswax Lip Balm: Which Among These Best Lip Balms Should You Purchase?